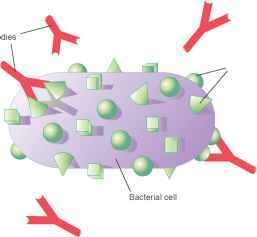 The immune response is directed to epitopes on antigens; a bacterial cell has a multitude of different epitopes. ■ What is the difference between an immunogen and an antigen? ■ Which macromolecules are most antigenic? ■ Would a denatured antigen be expected to have the same epitopes as its native (undenatured) counterpart?